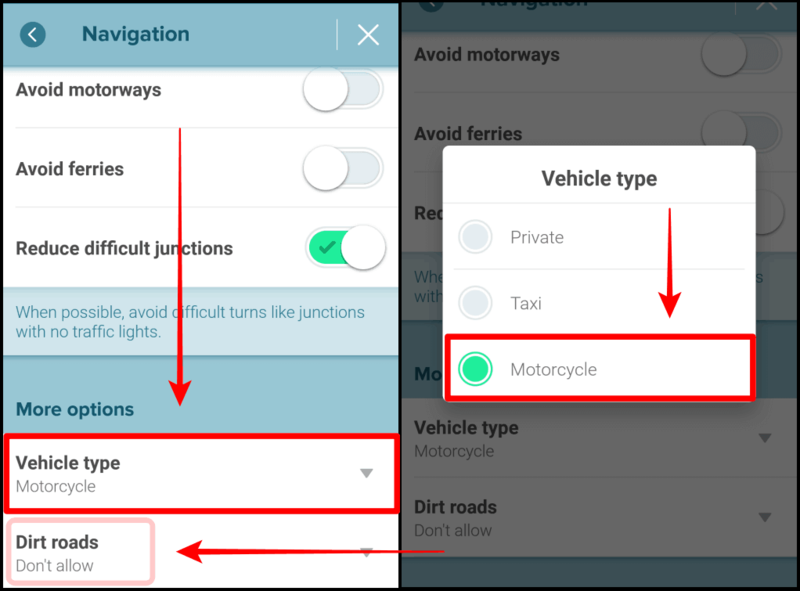 If you still didn’t know, the world’s most popular navigation app Waze recently launched the Waze For Motorcycle option mode and let you enjoy navigation that is specifically tailored to motorcycle. 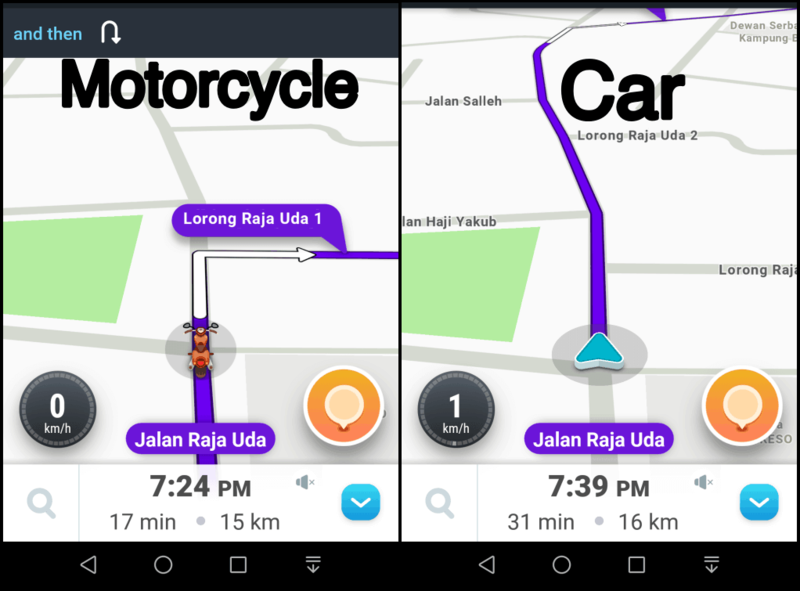 Waze says it has gotten better at estimating arrival times for motorcycles, which “vary greatly from automobile ETAs,” and the motorcycle mode also adds routing info for narrow roads that aren’t accessible by car. 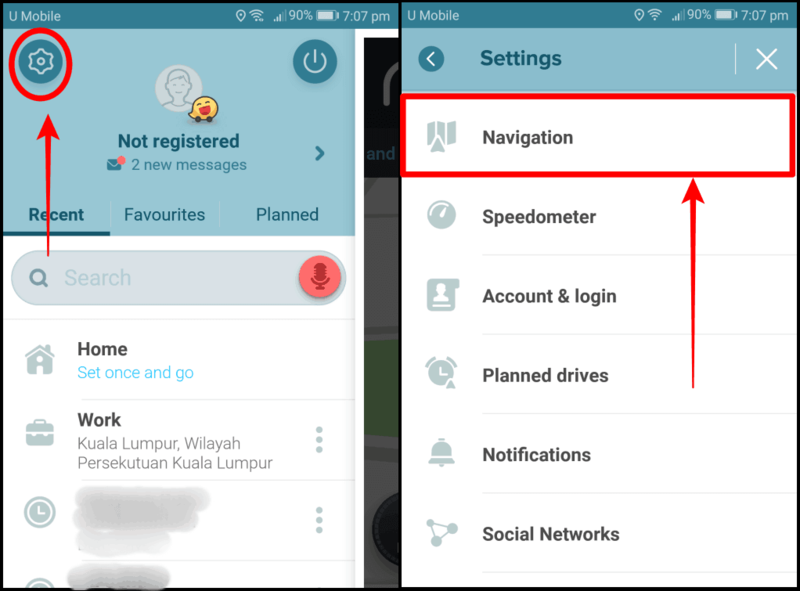 To navigate using Waze on a motorcycle, launch their app go to Settings and choose Navigation. Next, tap on Vehicle Type followed by Motorcycle. Please note, there is also an option if you would like to switch to Dirt roads. Here’s the information from their website: First in the gift pile is our new Motorcycle vehicle type option and two new motorcycle helmet-rocking Waze moods. Open to Wazers worldwide who prefer to ride on two (or three) wheels, this is the third unique vehicle type supported by Waze, and it comes complete with specialized routing to help make finding freedom on the open road simpler and faster. In addition to the real-time road updates and alerts, Wazers riding in motorcycle mode will be directed on routes optimized for motorcyclists based on where fellow Wazers-on-wheels are riding and the more you ride in the motorcycle setting, the smarter the routing will become. To sweeten the deal, better routing also means you’ll see a more accurate projected arrival time at your destination. Below is the quick comparison that I did for car and motorcycle for the same destination. As you can see from the image below, the estimated arrival time of motorcycle is quicker as it uses different routes. This feature was asked by many motorcyclist for a long time and it has finally been integrated to their app and please do check it out. If you have tried it, share with us your feedback using the comment box below and if you find this article helpful, feel free to share via the social buttons.